Spring has sprung! Time to open the windows, let the fresh air in, and buckle down on some serious spring cleaning. Instead of reaching for several toxic and expensive store-bought cleaners to get the job done, did you know that you can use a few simple and safe ingredients you probably already have in your kitchen pantry to clean your whole house from top to bottom and even outdoor spaces, too? And many of them cost just a few bucks each, but make countless home-made cleaning potions for just pennies! Here are my five must-have ingredients to spring clean — or clean anytime for that matter — in a safe and eco-friendly manner. Do you currently use any of them to clean? 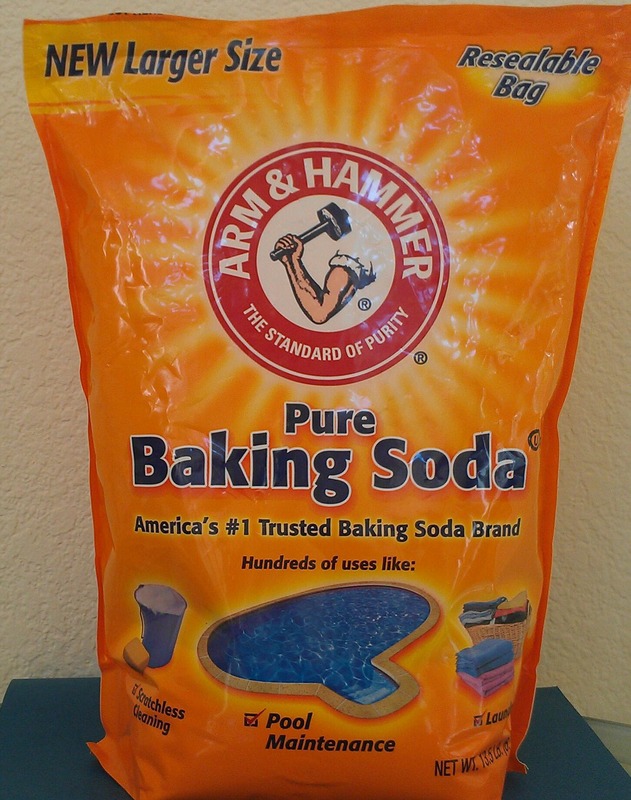 Because it’s safe, inexpensive (especially when I buy the extra value size bag), and works really well, I use baking soda all the time to clean. Due to its alkaline nature and high pH, this inorganic salt is great at whitening, brightening, deodorizing, cleaning, and scrubbing, so it’s a natural for green cleaning. My favorite way to use it is as a powder cleanser and bleach cleanser alternative. I add a little lemon essential oil to it to help it naturally whiten porcelain sinks, tile, etc. 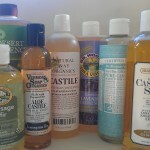 Castile soap comes in several scents and can be used to clean anything. Liquid castile soap comes in handy for cleaning anything inside or outside my home, because it is not only an effective, green cleaner, but gentle on my skin, too. 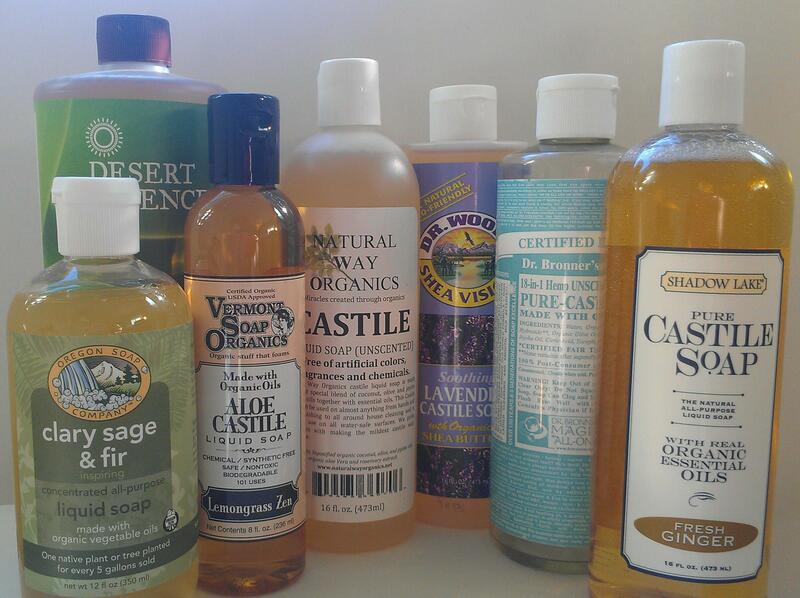 I especially love using castile soaps that are already naturally scented with essential oils (see “Top Castile Soaps for Green Cleaning”), because I don’t have to mix in my own that way. Also, they are useful when I’m cleaning icky surfaces in the bathroom or something outside like trash cans, because of the antimicrobial benefits of the essential oils. One of my favorite recipes is t mix castile soap with baking soda to create this “DIY Germ-busting Aromtherapeutic Cream Cleanser.” Unscented as well as variety of natural fragrances, such as ginger, lavender, tea tree, and rose, are available, so you should be able to find one that suits you. Essential oils add disinfectant properties to your homemade cleaners. Essential oils are absolutely essential to green cleaning my home as far as I’m concerned. They are great for not only disinfecting, because many of them have antifungal, antiviral, and antibacterial properties, but they also help get me in the mood for cleaning! (See “Beat the Cleaning Blahs with Aromatherapy” for more info.) For example, I love using cinnamon essential oil in this “DIY Antimicrobial Cinnamon Cleaning Spray” for the kitchen and bathroom. It zaps E-coli dead. Also, potent essential oils make great antiseptic rooms sprays. Here’s an quick, easy recipe to make your own. In addition to using them in cleaning, they are also fantastic in creating home-made spa creations, such as this Remineralizing Aromatic Spa Bath and Organic Lavender Salt Scrub. Plus, they are helpful therapeutically. For example, as I discuss in this post, they are useful for boosting your immune system, disinfecting the air, and treating colds and the flu. So, give them a try! Start with a couple small 1/2 – 1 oz. bottles of your favorite scents and build from there. By the way, if I had to choose one scent to start with, I’d pick lavender, but lemon, tea tree, and orange are also useful for green cleaning as I discuss in “Top 5 Essential Oils to Use in Your Green Cleaning.” Once you have them, you will find that a few drops go a long way, because they are concentrated and powerful. The citric acid content in lemons is a powerful green cleaner. Ah! The fresh, bright smell of lemons reminds me of spring. Using them to clean really uplifts my spirits, too. And they are really effective at cleaning due to their low pH and citric acid content. Lemons safely bleach, disinfect, remove soap scum, eliminate hard water stains, and more. In fact, many cleaning manufacturers know this and often employ citric acid and/or lemon essential oil in their formulations. 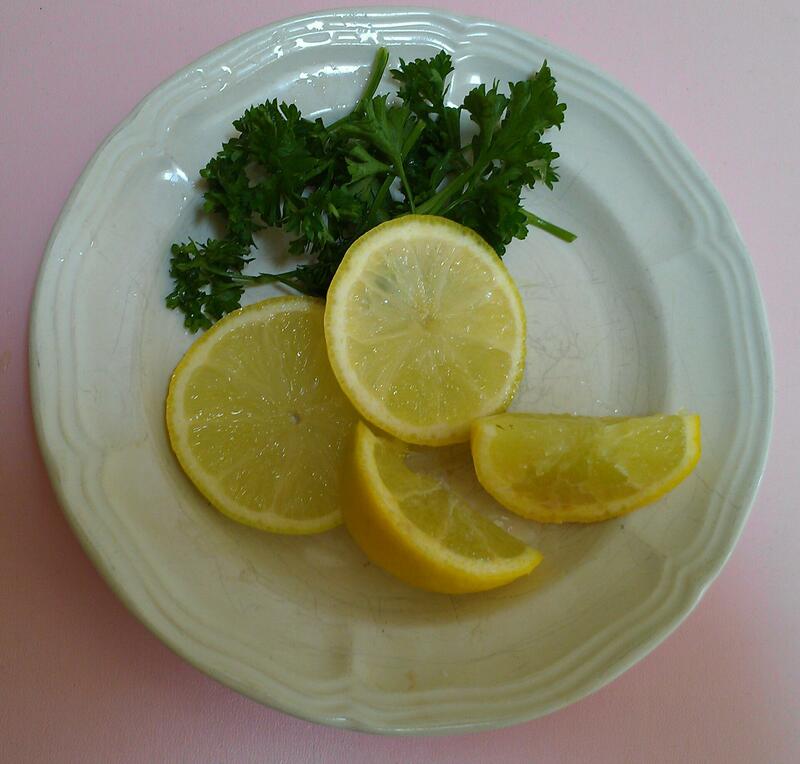 But you can easily whip-up your own green cleaning recipes with lemons, such as this citrus vinegar spray. 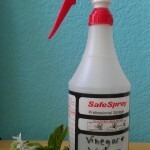 Vinegar spray costs pennies to make and is great for disinfecting, killing mold, removing soap-scum, and doing all-purpose cleaning. Vinegar is probably my #1 choice when it comes to cleaning. It’s safe, cheap, and it works every time. So, I often get a jumbo size bottle of it instead of the smaller bottles you may find in the culinary section at the grocery store. 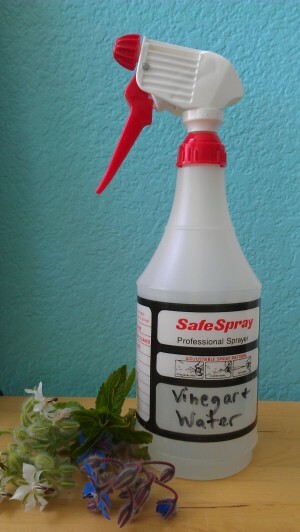 My favorite way to use vinegar is in this All-Purpose Aromatic Vinegar Spray, which I make with essential oils to kill germs, cut through soap scum, loosen dirt, and zap mold when cleaning the kitchen and bathroom from top to bottom. But if you don’t have any essential oils, don’t worry, plain old vinegar and water is still very effective. No matter how you do it, make a few bottles to use in and around your home as you’ll find yourself reaching for them often for so many other things, too (e.g., to naturally deodorizie the air). Pep up Naturally with Peppermint! Note: This article was updated on April 16, 2016. Copyright © Karen Peltier and Well Gal, 2014 – 2018. All rights reserved. This share is very useful for everyone who really like cleaning. A common mistake made when cleaning is that we use one or two multipurpose cleaners to clean everything in the house. As far as spring cleaning tips goes this is important because using a multi cleaner for everything means that you will be spending way to much time scrubbing when you do not need to. By hiring them you could be sitting free and they will completely finished the whole cleaning within hours – no more muss or fuss, for you. Some companies can offer you a good estimate of the cost it will be to haul away the stuff you need taken away based on the description of the items, volume and size of what you have. This way you’ll know if junk removal is a good option for you and can eliminate immediately any doubt in your mind or anxiety over having to find and borrow a truck, go to the landfill. Hi Karen. Thanks for these cleaning ‘recipes’. At our house, we use a lot of white vinegar because we have such hard water that makes a mess of everyone. We also use it in the washing machine when we wash whites. I appreciate this information. Thanks for writing in Leslie. Yes, vinegar is fantastic if you have hard water, because it dissolves mineral deposits so well. I’m glad to hear you’re using it in the laundry, too. It’s such a great natural fabric softener. The cleaning products that you have mentioned are very common and can easily be found in our kitchens. But, I was totally unaware of the fact that we can use this items for cleaning purpose also. Thanks a lot for sharing these amazing cleaning ingredients with us. Hi Samantha. Thanks for your supportive comment. Yes, they are very common, which really makes it so much easier and safer to clean, especially if you’ve run out of a commercial green cleaner. Let me know if you get a chance to try any of them in your cleaning routine. I use vinegar all the time.. I get complaints from the kids too they don’t like the smell!! I find it less annoying than the products i can buy at the store!! 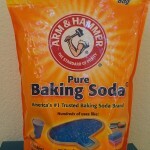 I often use baking soda.. but actually haven’t used lemon before.. I’ll have to try it out!! Hi Holly. My kids don’t like the vinegar smell either, so I usually add in essential oils to mask the smell a bit. Give it a try and let me know how they like it. My favorite EOs are sold by DoTerra. I mix them with Epsom Salt for feel good baths … but they are awesome in homemade cleaners too. Especially Tea Tree Oil. Hello Heather. I enjoy Epsom salt baths as well, because the high magnesium content really helps soothe sore muscles and relax the nervous system. The addition of essential oils, such as lavender, makes them extra special! And yes, I agree that tea tree is awesome in homemade cleaners. In my vinegar sprays, I often mix it with lavender essential oil to clean my bathroom and with lemon to clean my kitchen. How about you? Do you use it straight or mix it with other EOs?